I supported a great kickstarter back in November. It was for the new Stephanie Law Masterworks range by Darksword Miniatures. 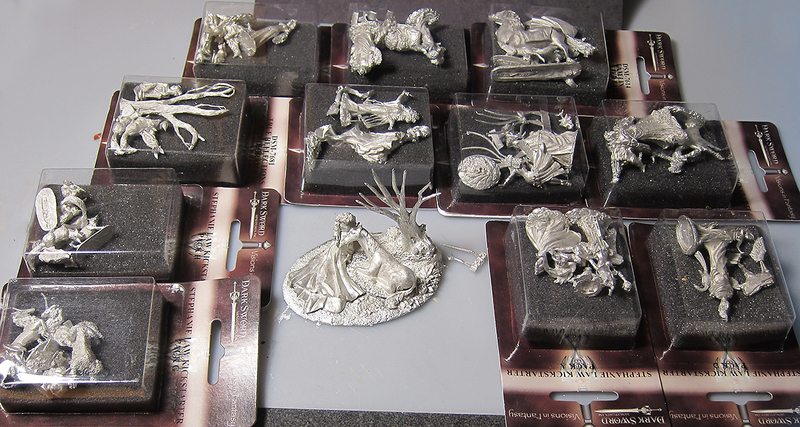 The kickstarter was run superbly, and the figures were even shipped ahead of schedule. Very unusual for Kickstarters in my experience. I pledged for most of the new figures introduced, as well as some instructional DVDs. Many of the boxes contains serveral figures behind the foam that you can’t see. I think I will have fun painting these!